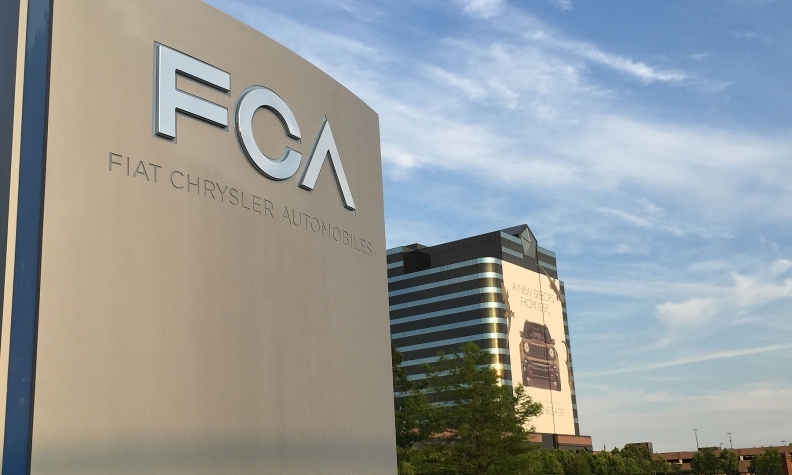 Fiat Chrysler Automobiles NV cut its financial targets after disappointing sales in China took a toll on second-quarter results, marking a rocky beginning to the tenure of new CEO Mike Manley. The Italian-American automaker lowered its guidance for revenue and profit this year, and said higher competition and slumping sport utility vehicles sales in China had hurt revenue. The problems in China present a significant challenge for Manley, who was thrust into the spotlight on Saturday when he was named CEO to replace an ailing Sergio Marchionne, who died on Wednesday. Fiat Chrysler’s five-year plan to double profit is dependent on a rapid expansion of the brand in the world’s largest automotive market, and sales in Asia regressed. The automaker said net income for the quarter fell 35 per cent to $881.9 million (all figures USD). Revenue gained four per cent to $33.91 billion. Adjusted earnings fell nine per cent to $1.15 billion. The company said it now holds $533 million in net cash compared with net industrial debt of $1.53 billion on March 31. FCA shares plunged 14.4 per cent to $16.50 in midday trading in New York. Asia operations fell to a 98-million euro ($115 million) loss as Jeep’s expansion in China failed to gain traction. The slump extended to luxury brand Maserati, as customers waited for a duty reduction to in July to take delivery of Levante SUVs. Overall, the company now expects revenue of $134.5 billion to $138.9 billion, according to a statement Wednesday. Previously Fiat Chrysler had guided for $146.2 billion. In his first comments to analysts since being named Marchionne's successor on July 21, Manley choked back emotions, saying he had spent "the last nine years of my life" talking and interacting with Marchionne on a daily basis, and that the news of his passing was "heartbreaking. There's no doubt that he was a unique man, and he will be sorely missed." He then asked for an extended moment of silence in Marchionne's honor. Manley said that he saw his mission as Marchionne's successor to carry out the five-year business plan that FCA laid out in June in Italy, and do so at the helm of an independent FCA. "Fundamentally, my mandate is to deliver that five year plan. My intention is to deliver that plan as a strong, independent FCA, and my team is focused on that as well," Manley said. Each analyst on the call expressed condolences and sadness at Marchionne's passing, but questioned Manley and CFO Richard Palmer about trouble spots in the automaker's global portfolio: the troubled ramp-up of production of the redesigned 2019 Ram 1500, poor sales performance from Maserati, and lagging performance from Jeep in China. They also took questions about the company's ongoing management and strategy. On the ramp-up of the redesigned Ram, Manley and Palmer said the company had spent a second $300 million in the second quarter -- as it had in Q1 -- addressing issues with production of the pickup. Manley said the production rate of the 'DT' Ram 1500 had reached 85 per cent, allowing FCA to incorporate the full line of optional trims and available powertrains, and said it would be at full production in the fourth quarter. Palmer was asked whether he believed Marchionne would have lowered the company's 2018 guidance, as FCA did today. "I do believe he would have changed the guidance, notwithstanding, as you can imagine in my meetings with him, such actions were always colorful," the CFO said. "He did allude [at the July 1 capital markets presentation in Balocco, Italy] that the second quarter would be a tough quarter. He was conscious that we would need to take a fuller look as Q2 numbers came in. I'm confident that he would have understood that the guidance would have needed to be revised." Manley also commented on the resignation, announced Monday, of top Marchionne lieutenant Alfredo Altavilla, who headed FCA's Europe-Middle East-Africa region and was considered a top contender, along with Manley and Palmer, to succeed Marchionne. Manley said Altavilla's "departure was unfortunate, but it was not unforeseen." He credited the Italian for returning the region back to profitability, and said he had confidence that Altavilla's as-yet-unannounced replacement in the regional top job would be able to push profit margins there higher. "I don't see his departure at all impacting our strategy," Manley said. Palmer said the company had so far been able to escape most of the pressures from rising commodity costs, including steel, because of long-term contracts it holds, pushing the issue into 2019. However, Palmer said FCA will "be discussing with our suppliers how we can share the impacts of raw materials prices going forward." Manley said Jeep's struggles in China, which he addressed initially in June in Balocco, "are not going to be fixed" by the introduction this year of the Jeep brand's new China-only three row SUV, the Jeep Grand Commander. Manley said Jeep has scaled back marketing in China to revamp its message tailored for a domestic audience, reducing a reliance on American themes to sell the brand. He also said the company "needs to work through the strength of our dealer network in China. We're not where I'd like to be in terms of the strength of our distribution channels there." Larry Vellequette and Bloomberg contributed to this report.